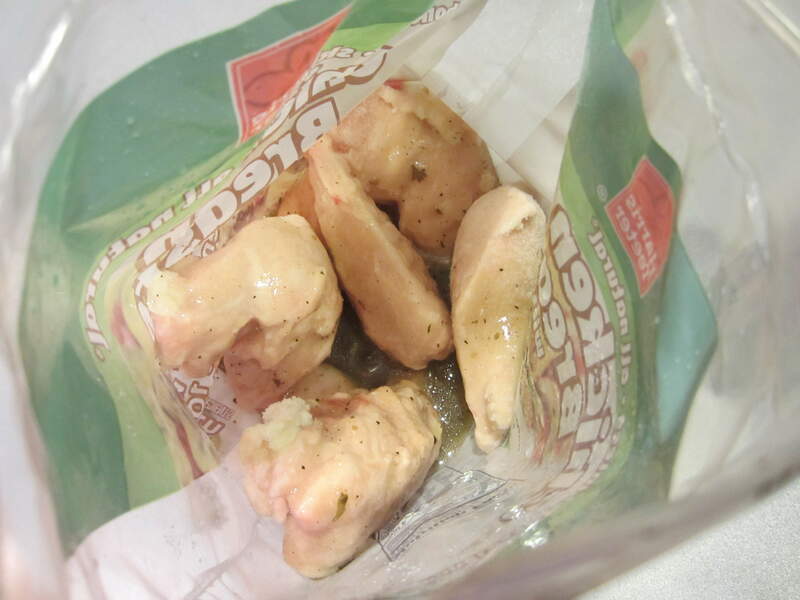 Today’s assignment for the 4 Weeks to Fill Your Freezer Series at Money Saving Mom was to make Italian Chicken. Gee, I don’t know if you could really call this cooking, but it was so easy, I’ll take credit for doing it. 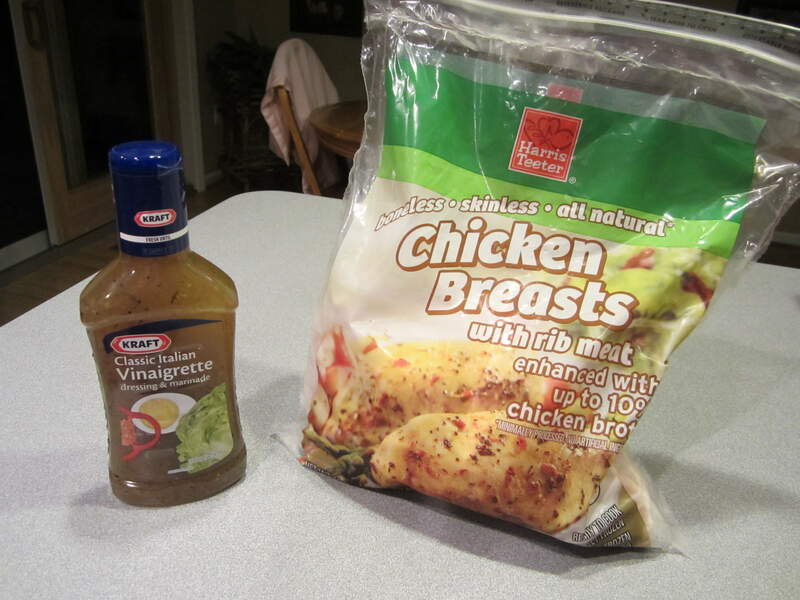 I’d also like you all to think that I bought the frozen chicken in the bag on purpose, so that all I had to do was to open the bag, pour in the dressing, and seal it back up again. Brilliant, right? 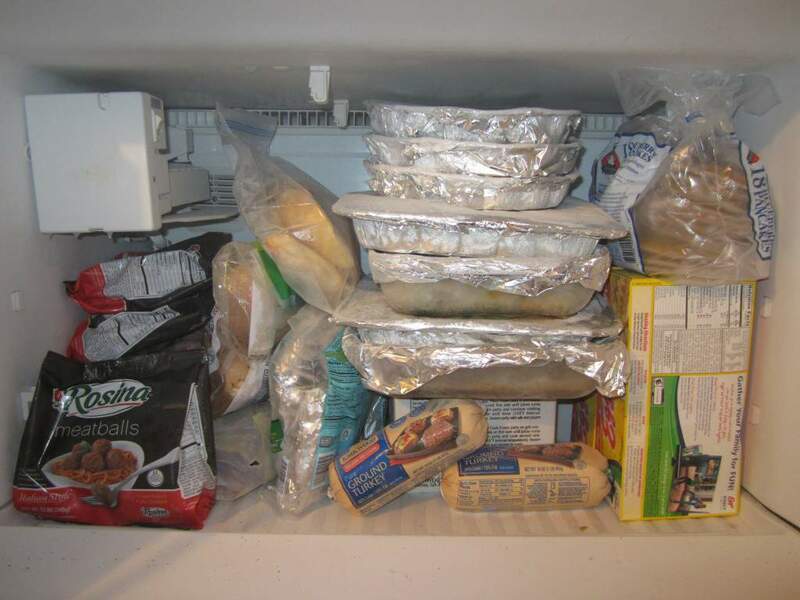 Look how full our freezer is after all this cooking I’ve been doing lately! This is our spare freezer out in the garage, and it’s never been this full. Ever. I almost hate to use any of the things I’ve made because I’m so proud of it, but that would totally go against the whole reason for freezer cooking. Tomorrow we start on snacks and desserts. Who’s ready?? My freezer is getting really full too. I am going to be using a few items this week for our dinners. I am ready to get some desserts and snacks in the freezer this week. It is nice to have a desserts already made in the freezer in case you have company over.